Now, this is my first attempt at costume making... ever, so I don't know how it's going to pan out. Still, I figured I'd document my progress for the sake of it. 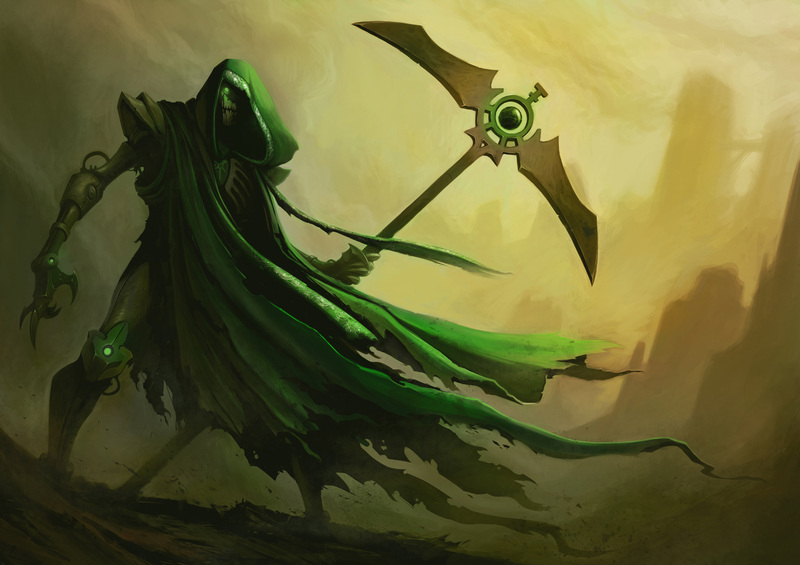 As the title suggests, I'm aiming to turn my fleshy self into something resembling a necron. For the groundwork of the armour paneling, I'll be using sheets of... foam? I forget the technical term for what this stuff's called. Told you I was new to this. At this point, all I have is a shape, it will be another layer or two of adding detail before I consider this finished. After that I will lay something called worbla over it to keep the shape and provide a solid painting surface. This allows me to skip certain details as well, so I figured for a decent necron costume this was the sensible way to go. This will be interesting. I wish you luck and I will be watching this because I was thinking of making my own costume as well so I hope to gleen some experience from your adventure. Is the head too big? the shape looks right just wondering about the size. The picture looks great so lets hope you can pull it off. "Ahh, isn't Morfang sweet, like a great big 350-pound (that's 25 stone, UK users!) ball of cuddly death...?" God, gives children to people so that death won't seem so disappointing. The head can't be any smaller than this. Other wise it wouldn't fit over mine. Presuming of course that you aren't 4'8"....? Nah, I'm just above 6ft. The head will actually get slightly larger once I've finished adding the layer of detail. I can play around with the shoulder guard sizes once I have the ribcage built to try and make the proportions suit. And I was actually toying with the idea of being on stilts to make the suit slightly taller, but I'm not sure how well that would go. Or if it would be worthwhile.